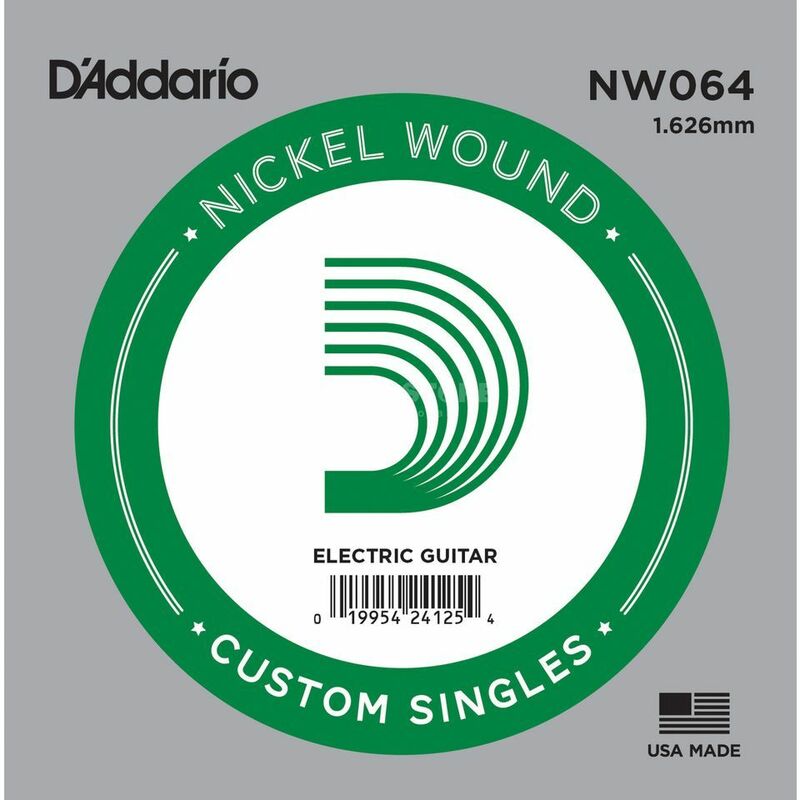 The D'Addario NW064, Single String is a .064 gauge, nickel wound electric or acoustic guitar string. This string is perfect as a replacement, but can also be used to create your own custom set. The XL Nickel Wound is D'Addario's most popular range of electric guitar strings. They have been precision wound with nickel plated steel onto a hexagonally shaped, high carbon steel core. This makes them long lasting with a bright tone and excellent intonation. The string fits in great with any music style and genre.